A soft sheet of white snow covered Moscow and as I was admiring the morning flakes I realized today marks both the closure of 3 weeks on the road and 4 weeks since my ex and I broke up. What a wild journey this has been. I’ve covered 7 countries with 2 more to go (3 if you count the US). So it is only fitting that today will end on a train bound for days of solitude across Siberia. Despite the increasingly cold temperatures in Mongolia, I’m quite excited for some snow dustings across the plains. Tonight I will find out who my bunk mate is for the next 5 days. I’m hoping and praying they aren’t talkative, smelly, disrespectful or a worry. Worry meaning someone that will try to harm me or steal from me. Given I purchased a first class bunk for the journey in theory it should negate much of the latter risks focusing back on the former risks. We shall see. Travel is an adventure. Hell life is an adventure! Not knowing if I’ll have access to the internet for the next 2 weeks, I had a crud load of to-do items this morning from downloading music, to books, to games, to sorting hotels in my last stop, to my flight home, and many more. Luckily the hotel Wi-Fi was back up and running so I was able to crank through everything. Knowing today was my last day in Moscow and realistically I may never get the chance to return, it was time to get focused and start moving. After my morning cappuccino, I made a b-line to the Red Square so I could sneak in a tour of the gorgeous and ornate St Basil Cathedral, which has to be my favorite building so far on this journey. I literally can’t get enough of its splendor. Inside it was made up of a bunch of intricate and winding rooms and hallways across two floors, the second floor having impressive three story ceilings. After some more pictures of the Red Square I circled back down a side road that could easily be called Cathedral alley as it had beautiful cathedrals one after another. All colorful with gold accents and twisting onion like turrets. It was a wonderment of architectural bliss. On the way back I decided to stop by the ATM in the pharmacy next to the hotel though it kept saying there was an issue and try again later though for everyone else it worked just fine…weird. I’m guessing it had something to do with ‘calling’ a US bank but who knows. Luckily there was an actual bank about 5 minutes walk away. When I entered there were six ATMs though everyone was lined up behind two of them. There were signs on top of each, in Russian, and not knowing what they said I decided to line up behind the masses. At my turn, I slid my card in, hit the English button, but the only option was balance inquiry. Not helpful. So I went to one of the other machines and figured I’d pretend to know Russian. How hard could it be, right? A screen that looked like it needed a code appeared, yep that seemed to work, then a screen with a bunch of words and buttons and no numbers appeared. Hmm…Maybe the green button? All the sudden it started dispensing money, spit out my card, no receipt, and went back to the main screen. Um, I guess I’m done and that’s the amount I get. Ha! Having pre-packed this morning, my late checkout process was a piece of cake. I had hoped to tour a palace or mansion or something but they all seemed to be an hour away and I didn’t have time for 2 hours of transit so I decided to just meander over to where my evening cruise was to depart, which required learning the buses or taking the subway with a transfer and long walk. I chose the later, I’m all about familiar and what will create the least amount of risk I get lost. Plus it’s becoming fun pretending like I’m a local and know the subway systems! Down the multi story escalator into the subway halls of Moscow I went. The trains were reminiscent of those in NY and I wondered if there was a train sharing program between the two cities. Luckily the trains weren’t that crowded so it was easier to find seats versus all the swaying the day before. Transferring to a train that went into a circle made me realize that in all my subway experiences I don’t recall ever riding a train that doesn’t have a distinct start and end. Since the start and end points tell you which train to take, what would you look for in a circular train? Much like you would expect, they can’t list the start or end points, so you just have to read (in Russian) if your stop is listed on the left track or the right track. I’ve realized in my attempt to memorize stations it looks something like this – I’m going to ny6RHKa (where the n is less n and more rounded and the R is backwards) so I just think in my head I need to find the ‘ny6’ blah blah station. Though there’s four things you need to memorize to get where you’re going to use the subway – (1) the color – purple (2) the end station in your direction – nnaHePHaR (where the n’s don’t look like n’s and the R is backward), the end station where you do NOT want to go – KOTEnBHNKN (where the n is not an n and the N’s are backward), and finally the station you want to stop at – KNTaN ropoA (where the N’s are backward and the last A looks a little odd). Easy enough eh? Sure…!! After arriving at the intended station and navigating the connection, it opened into a shopping mall. The first thing I noticed was that the subway design around the staircase entrance looked like it was imported from Paris, peculiar. Next door was a large train station that services the airport, and a beautiful bridge that I just had to go photograph. In order to get to the boat dock which was about 15-20 min walk I had two options – 1) zig zag thru side streets or 2) take the long way and just follow the river. I chose the later for ease and view since I had the time! Despite the intense wind chill off the river and my continuous sniffling… Maybe not the brightest of plans, but what the heck. The boat dock ticket office was super tourist friendly and the guy spoke great English. He printed my ticket for the cruise and I was all set. Across the street was the famous Radisson Royal historic building so I figured it would be a nice place to kill some time. While I was on the subway it dawned on me that I hadn’t eaten in 24 hours…Hmm…probably time to remediate that! The options were a steak place, Italian or Japanese. None of which were Russian so figured I would go with the one that appealed more to my sniffling and coughing. Italian it is! Nothing like pasta to make everything better. The cruise boat started boarding at 4:20pm and wanting a window seat you better believe I was the first one on! As dusk set in, the boat took off along the calm and wide Moscow River. The old Ukrainia Hotel, now the glorious Radisson Royal with its Rolls Royce dealership and exclusive stores, was already illuminating the skyline as the ship turned around bringing the skyscrapers of the central business district in sight, their neon lights dancing around in between the low clouds. The ship began sailing West toward the Russian Federation building with its stately appearance and on to the Novodevichy Covent with its myriad of gold turrets glowing above the stone wall that surrounds it. After passing by a slew of buildings that didn’t draw my interest we passed a couple I wished I could have seen this afternoon, darn – the Mansion on Ivan Tsvetkov and the Pertsova’s Tenement House. From there we sailed passed the architectural beauties of the Cathedral of Christ the Savior, the Kremlin, and St Basil’s Cathedral. There were a few of us diehards that went outside freezing our tails off to get good photos and trying not to slip on the icy deck. From there another building I’d have loved to tour – Moscow Orphanage. The next couple buildings didn’t intrigue me so I ducked back in for some warmth until we came upon the Novospassky Monastery. More glowing gold turrets and ornate steeples like well dressed birthday cakes. Gorgeous. The cruise followed the same path back so that we could all see both sides of the river. Which also gave more opportunities to go back outside into the freezing cold and snag another set of photos. The nice part about being a table of one is I didn’t have to order a meal to fit in nor did I have to stay at the table to be polite company – so I pretty much spent 80% of the cruise jumping back and forth between the warmth and the amazing photo opportunities in the freezing cold. And yes, I was the only person on the boat that was a table for one and the only person on the boat that didn’t order dinner. Did I care, not one bit, love feeling free as can be with no societal pressures dictating my behaviors or my experience. Plus, I absolutely adore river cruises and getting pictures of some of the prettiest architecture at night. So worth it. After a lovely day with slightly less sniffling and coughing, it was time to make my way to my midnight departure on the train to Siberia! Hoping I didn’t set myself back by all the ‘hanging in the freezing cold’ time, but we shall see. The subways were becoming a breeze to navigate back to the hotel to pick up my suitcases, catch up on one last set of Internet access, and then head off on the subway again to the train station. 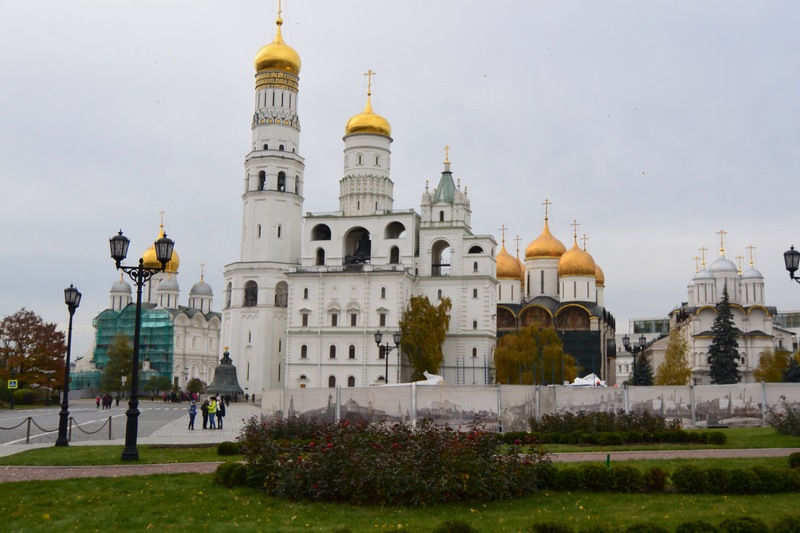 Next Next post: Rounding The World – Day 23: Trans Siberian Rail (day 1)….